After a fair amount of seesaw in Madhya Pradesh throughout the counting of votes since morning on Tuesday, Congress has relatively steadied its ship as the trends swung from the party shedding its early lead to the BJP in between and then regaining it to almost a numerical indication that the state might end up with a hung Assembly. The counting is not over yet and there is still a possibility that it might lead to a cliffhanger. Whatever the numbers might play out finally, given the marginal difference in seat share as per the current trends for the results, it is obvious that smaller regional outfits are going to play a key role in government formation as the two national parties are bound to approach them. 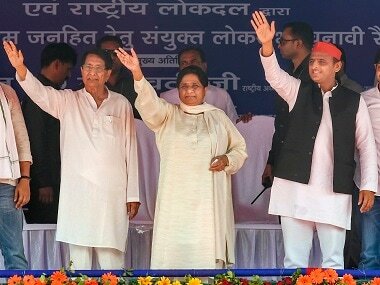 Among them are Mayawati's Bahujan Samaj Party (BSP), Gondwana Gantantra Party (GGP) led by Hira Singh Markam, and Akhilesh Yadav's Samajwadi Party, apart from independent candidates. At 11.45 am, the Samajwadi Party was leading in two seats, the BSP in four and the GGP in the Beohari, Amarwada and Junnardeo constituencies. While these numbers may seem like nothing when read independently, when clubbed with the double-digit figures of the Congress, it would give the party the required figures to reach the halfway mark and form the government in Madhya Pradesh in case it is required. As this copy is being written, Congress is leading with 116 (which is also the halfway mark for the 230-seat Assembly) while the BJP is ahead in 103 constituencies. The others is at 11. After the exit poll results, which gave the Congress an edge over the BJP in Madhya Pradesh, both parties reportedly began to reach out to independents as well as BSP candidates. 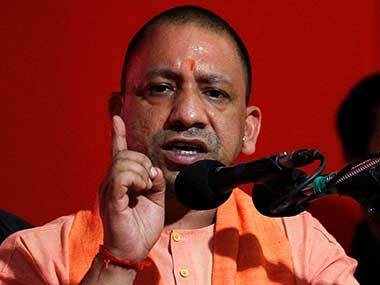 The Indian Express quoted a senior BJP leader as saying: "MP does not have a history of a fractured mandate but the exit polls have induced a sense of anxiety in the party. We are doing everything that it takes to be in the race." In Madhya Pradesh, the BJP also faced a rebellion from its own leaders, who contested the Assembly elections as independent candidates. The BJP had even expelled more than 50 party leaders who had filed their nomination papers as independent candidates. The Indian Express quoted another senior BJP leader as saying that the party was prioritising winning over these rebels to hold an advantage over the Congress in case of a close contest. Meanwhile, the BSP is hoping to play the kingmaker in Madhya Pradesh. The party, which contested the Chhattisgarh polls in alliance with Ajit Jogi's Janata Congress Chhattisgarh and the Communist Party of India (CPI), dealt a blow to the Congress in the run-up to the polls when it decided to go at it solo in Madhya Pradesh. However, from the numbers coming in from Chhattisgarh with Congress likely to win in 67 seats out of 90 that initial blow has been rendered completely ineffective. Senior BSP leader Ram Achal Rajbhar, who is the BSP in-charge of Madhya Pradesh, was quoted as saying by The Times of India, that the party expects to win 20 to 30 seats in Madhya Pradesh and play the kingmaker in case of a hung Assembly. "Response to Behenji’s rallies was overwhelming, which makes us hopeful of emerging as a key factor in MP." This could well be the case as the BSP, which had won four Assembly seats in the 2013 elections holds significant influence in Dalit-dominated districts in Madhya Pradesh. The Congress and BSP failing to reach a pre-poll alliance now mean that these Dalit votes will be divided three ways between the two of them and the BJP, cutting into a vote share that could have cost the saffron party the state nearly. 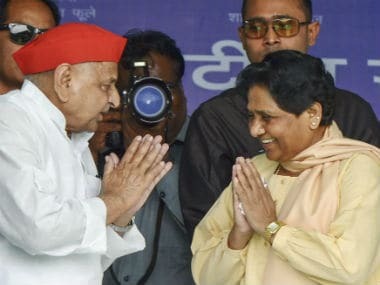 However, in such a case, the BSP is more likely to lean towards the Congress, as BSP MLA from Ambah Satyaprakash Sakhwar confirmed. He told The Indian Express: "Our candidates and independents are the obvious choice for them. 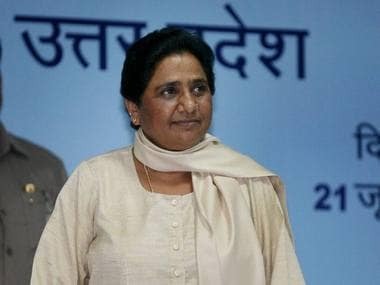 In a scenario where both will require BSP votes, Mayawatiji is more likely to lean towards the Congress." 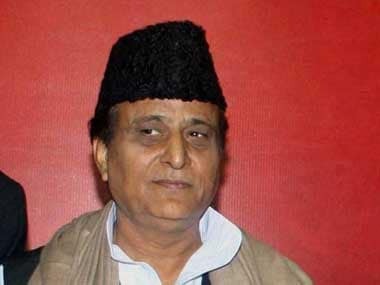 The Samajwadi Party, which fielded 51 candidates, and GGP, too, will play an important role in the final government formation in Madhya Pradesh. In the 2013 elections, even though the GGP did not win any of the 42 seats it contested, it secured 2.5 percent of the vote share. This makes it a key party to approach for both the BJP and Congress as at this moment, the Congress has a lead in 114 seats over the BJP's 104, and the balance could tilt either way now depending on who makes the right offer to whom. With 29 Lok Sabha seats, Madhya Pradesh stands next to Uttar Pradesh, Maharashtra, West Bengal and Tamil Nadu in political strength at the Centre. This is why the party that wins the Madhya Pradesh Assembly elections will have an edge in 2019 Lok Sabha polls.